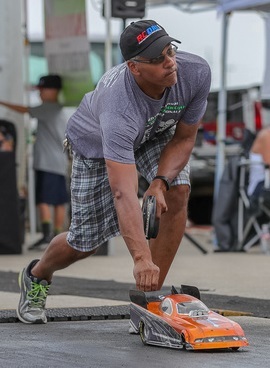 With high Texas Summer temps, 126 driver entries competed in the first round of the 2018 Countdown to the Championship Playoffs Saturday, August 18th. Some competed to play spoiler and blocker for teammates, while the majority are competing for Championship honors! 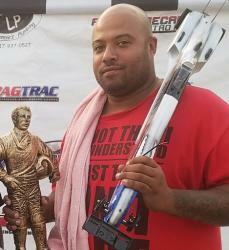 The RCDRL wants to thank all that pulled together and went the extra mile to help pull this event off. Special thanks to Paula Shivers in playing a critical role in filling the stat girl seat, Jacquelyn Mares did a great job on the mic, while Tre’ Thacker helped with officiating. As inclement weather moved through the area, many of our members helped secure the track in record time. In Pro Funny Car, Mike Mercadel secured his second victory and first in the funny car ranks this season. Coming in as the #4 qualifier, M. Mercadel got pass Chad Howard on a holeshot and then went on to put event sponsor Randy Mayhew and Bill Nelson on the trailer before advancing to the finals. 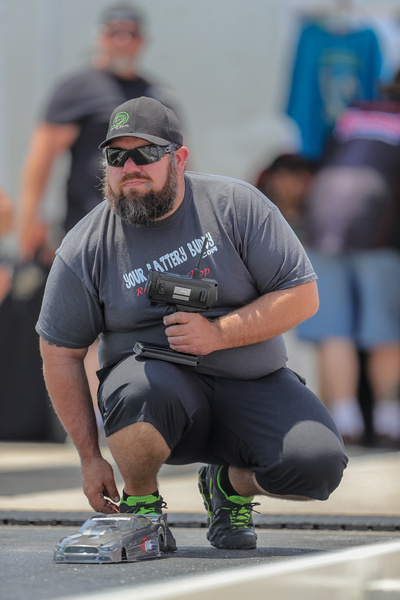 On the other side of the ladder, defending Pro Funny Car Champion Joshua Mercadel was making his way through the 10-car field as well in hopes of a playoff glory. J. Mercadel from the #2 qualifying spot defeated rookie driver of the year candidate Zach Shivers in round 1. In round 2 he faced the Summit Racing Equipment and points leader Eric Bowman. “Our program has struggled, it’s no secret we haven’t had the cars we wanted most of the season. 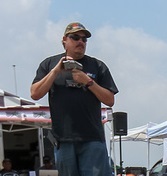 However; I have to say thanks to Eric Bowman for turning a few wrenches on our Hotrods. It definitely has made a difference.” said Mike Mercadel who moved to second in Funny Car points. 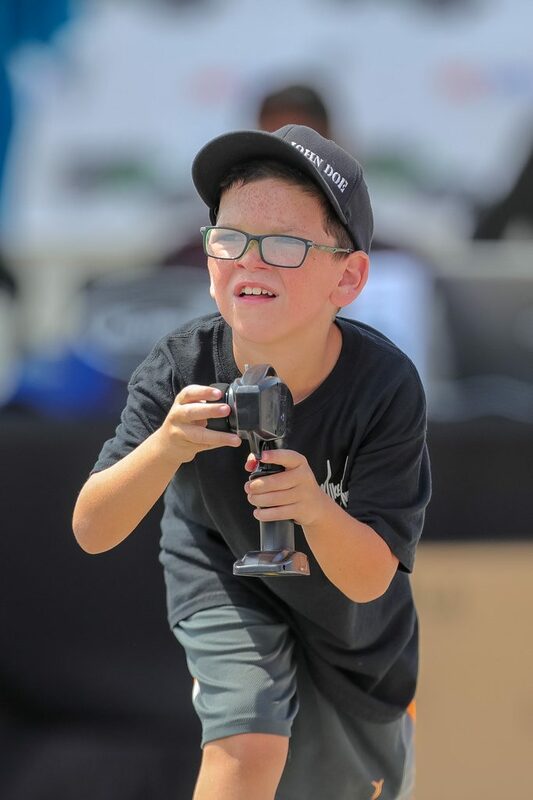 In Young Gunners, defending Champion Colt Mares held his own by advancing through the field of young talent to the finals. Mares had to get past two members of the Toad Racing team, Colby Taylor in round 1 and Zack Shivers in the semi-finals. On the other side of the ladder, number one qualifier Piper Munson was able to defeat Sarah Shipman in round 1. She was awarded the bye-run in the semifinals to advance to the finals to face Colt Mares. 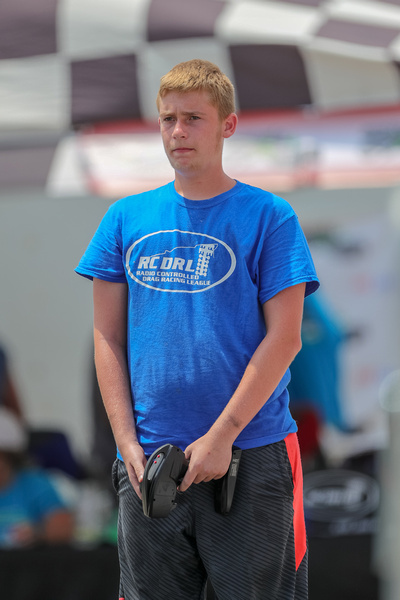 In the finals, Colt cut a brilliant .016 reaction time and ran a 3.077 on a 3 flat dial to take the win over Piper Munson’s .107 reaction time, 2.571 on a 2.50 dial. Over in Pro Stock, we had 11 entries. Jeremy Miller grabbed the #1 qualifying spot right off the trailer in round 1 qualifying. He went on to earn the bye-run in the first round, got past Robert St Pierre in round number 2 and in the semi-finals. Miller was able to drive around Davey Goff to advance to the finals. 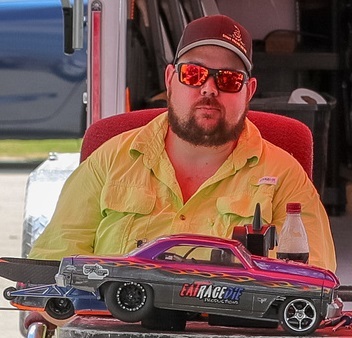 In Sportsman Funny Car, points leader Eric Bowman extended his points lead by grabbing the #1 qualifying spot and advancing all the way to the finals. He received a bye-run in round 1. Then went on to defeat Matthew Munson in round 2 and his wife Heather Bowman in the semi-finals. On the other side of the ladder, #3 qualifier Bill Nelson got past Colby Taylor in round 1 and drove past Chris Markowski in round 2. He was awarded the bye-run in semi-finals to face Bowman. This final was over at the hit of the throttle when Bill Nelson clicked on the red light -.063 handing the win over to Bowman who ran a solid 2.532 ET. Top Fuel Dragster had 7 cars dueling for a win light. 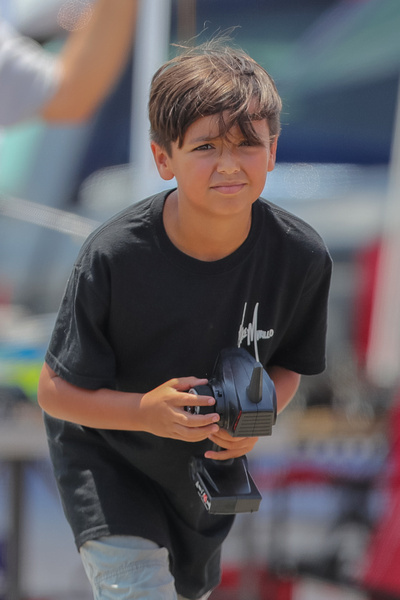 Defending Champion David Mares whose two sons, Brandon and Colt had already won their fair share of classes at the Paradise RC Nationals was trying to do the same. David Mares came in as the #2 qualifier. He outlasted J R Summons Jr. and Mitchal Vaughn to advance to the finals. 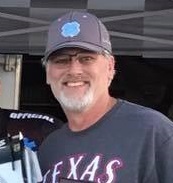 With already having three wins during the regular season, 2016 Quick 16 Bracket Champion Jeff Schmidt is determined to get his title back in 2018. 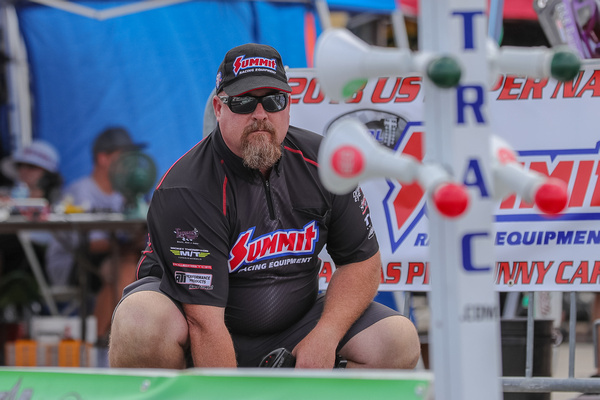 Coming into round 1 of the playoffs, #8 qualifier Schmidt was able to put Chad Howard and Douglas Crews on the trailer in the early rounds. 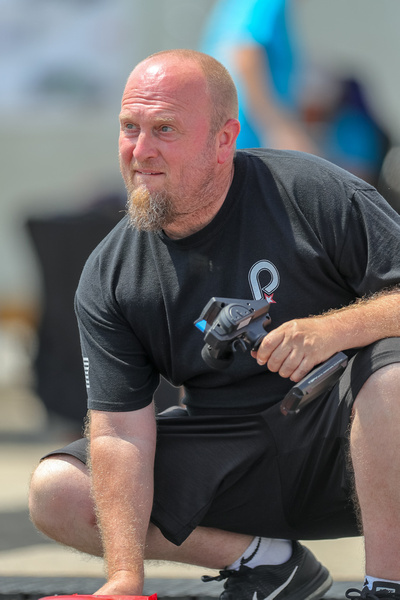 In the semi-finals, Schmidt outlasted RCDRL first-timer, Eric Hancock to advance to the finals. On the other side of the ladder, #2 Joel Shipman was making his way to a final round showdown with Schmidt. Shipman in the early rounds got past Nacho Thacker and Kelly McCart. In the semi-finals, Shipman was able to outlast defending Quick 16 Champion Chris Markowski. In the finals, #8 Jeff Schmidt .090 RT / 2.05 Dial ( .122 off ) / 2.172 ET def. #2 Joel Shipman .119 RT / 2.79 Dial ( -0.944 off ) / 1.846 ET. Jeff Schmidt jumps to #1 in the playoffs, while Joel Shipman holds on to his #2 spot. Congratulations to our 2 JCONCEPTS.NET HOLESHOT award winners, Colby Taylor and JD Crow for both cutting a .008 reaction time lights during first round eliminations to win this award.